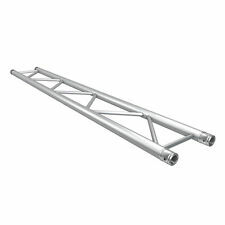 You are bidding on 12m of Opti 200 Ladder Lighting Truss. It comes in 5 x 2m lengths, 1 x 1.4m length and 1 x 1.6m length. Comes complete with spigot joiners. Has had very little use and in good condition. Pick up only from St Albans area. Happy bidding. 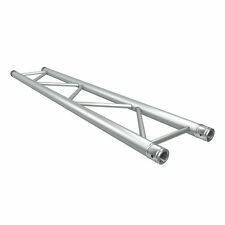 Lighting truss Metalworx ladder truss 3 way corner. I have loads of corners for this stuff and will list them soon. 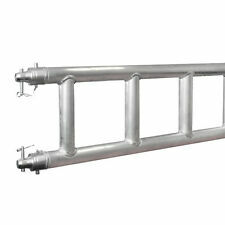 Global Truss F32 PL 1.5m Cross Beam (F32150PLZ). Prolyte H30 Truss compatible. Around 10 year old Opti Trilte Ladder trussincludes legs and braces to make up acomplete stand- was used on trade shows but no longer needed- not sure of exactpart number and may be various different kits. Prolyte H30 Truss compatible. However our product range doesn’t end there! Furthermore, VisioSound supplies a comprehensive range of lighting products including moving heads, strobes, and par cans. Rest of World. Prolyte Truss compatible. - The item is NEW and UNUSED. Not happy with your item?. Span - 3033mm. 32 x Mono Trusses. 4 x Gable ladders. Pitch - 15 degrees. # 1 most < span class = "notranslate" > single VIADUCT. AIRLIFT OR A VIADUCT WITH LENGTH. Truss iron bridge < span class = "notranslate" > of color grigio. (with kato 20-430 and 20-431). This is a single leaf flier. Item pictured = Item sold. N.1 PONTE a VIADOTTO SINGOLO. PONTE AEREO O UN VIADOTTO CON LUNGHEZZA. PER CHI VUOLE REALIZZARE CON I BINARI KATO. Accessori e Binari Kato e migliaia. from 20 years specialized in the field of WEDDING FAVORS, pearls.